Pakistan and Australia face-off in the five-match One-Day International (ODI) series in the United Arab Emirates (UAE). With ICC Cricket World Cup 2019 few months away, this series will help both the teams fine-tune their squads. Meanwhile, the teams meet in the first ODI. If you are looking for PAK vs AUS 1st ODI 2019 live online streaming, then scroll down for all the information. PAK vs AUS 1st ODI Live Score Updates. After having defeated India in the five-match series, Australia will be high on confidence as they face Pakistan. David Warner and Steve Smith’s one-year ban is soon going to expire but the duo won’t be part of the PAK vs AUS series. The team will continue to prepare without the duo. Meanwhile, this is Australia’s last assignment before the World Cup. Pakistan, on the other hand, will be without some the regular players, which includes captain Sarfraz Ahmed. The Pakistan management is looking to fill in some vacant sports for the World Cup and that’s why players like Umar Akmal, Junaid Khan. Pakistan is also having a look at young pacer Mohammad Hasnain and Test specialist Mohammad Abbas. 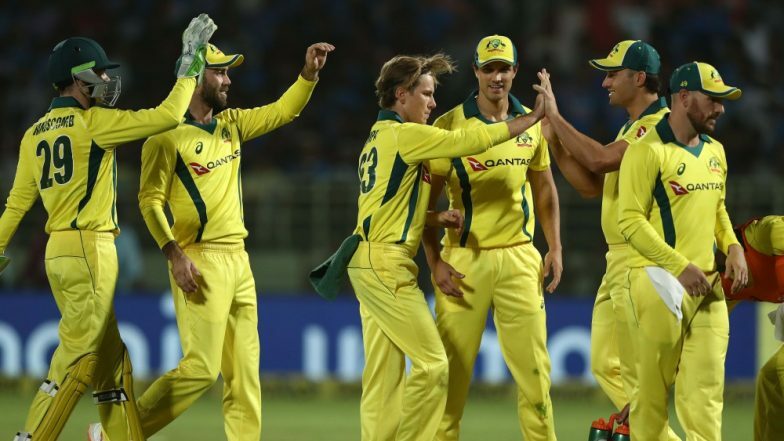 Pakistan vs Australia ODI Series 2019 Schedule: Complete Fixtures, Match Dates, Timetable, Squads and Venue Details of PAK vs AUS. The first ODI between Pakistan vs Australia will take place at the iconic Sharjah International Cricket Stadium in Sharjah. The PAK vs AUS 1st ODI action starts at 04.30 p.m (IST), with the toss to take place 30 minutes prior to the match. Where to Watch the Live Telecast of PAK vs Aus 1st ODI? The official broadcaster of the Pakistan vs Australia ODI series in India is Sony Pictures Sports Network. The PAK vs AUS 1st ODI is likely to be telecast on Sony ESPN and Sony ESPN HD. However, there is no confirmation yet. For viewers in Pakistan, PAK vs AUS match will be telecast live on PTV Sports and Ten Sports. Where to Watch Free Online Live Streaming of PAK vs Aus 1st ODI? The live online streaming of PAK vs Aus 1st ODI will be available on Sony's OTT platform, Sonyliv. It will be available both on Sonyliv's mobile app and the official website. For the live score updates and the ball-by-ball commentary of PAK vs Aus 1st ODI, then click here!